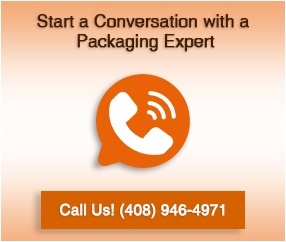 At Larson Packaging Company, there is one area in particular where we continually see well intended crate buyers lose sight of the big picture, and that is in evaluating the cost of wooden packaging for valuable equipment. One of the most important ideas we can impart is to recommend using a long term cost-per-trip costing model as opposed to a short term price-per-crate model. The logic is really quite simple: invest in higher quality up front, and you will pay less per trip than you would if you tried to save a few bucks on cheaper (and less reliable) shipping crates. One reason high quality crates cost more is that it takes expert engineering to design crates that will provide adequate protection for your sensitive equipment. Selecting the right amount and type of foam cushioning, for example, requires precise measurements to absorb energy from all shocks and vibrations that occur. Quality crates are also more durable. That’s because they are usually built from better quality lumber, plywood and supporting materials, and they’re constructed with the harsh realities of the shipping environment in mind. You also have to factor in the level of service you receive for the money you spend. When you invest in a supplier that will come alongside as a partner, you get added support along the way. A partner will work with you to make sure every order is fulfilled on time, even if they have to bend over backwards to make it happen. Not all suppliers can offer the inventory or production capability to meet even your last minute requests. Even though it may cost more up front to invest in higher quality crates, the cost-per-trip will likely be less. With inferior packaging, the potential for product damage and a shorter product life span make the lower price point impractical in the end. Also be sure to budget for the cost of disposal/recyclng (better from a stewardship perspective) at the end of your product's life. Otherwise, you'll be shocked when you end up with unusable crates and realize you still have to pay to get rid of them. This is another one of those recurring expenses that makes the temporary solution less cost effective. Most medical device and server rack shipments shipments are valued in the tens to hundreds of thousands of dollars. Given the high value of the content inside the wooden packing crates, it only seems logical to choose the best shipping protection possible. When things go wrong, the cost to repair damaged equipment or replace broken hardware far outweighs the temporary gain from saving a few bucks on your crating order. When shopping for crating solutions for your sensitive equipment, it pays to invest in quality design, durability, and reliability. Anything less leaves you vulnerable to added costs and greater risk of financial loss.